Shhhh... please do not disturb! — permundum. film photography. Shhhh... please do not disturb! It never fails, right after Labor Day temperatures drop in the tri-state area. Gone are the warm and cozy days of summer. The drop is not extreme, but enough to remind you that the cold fall and winter days are fast approaching, waiting around the corner. The same applies to traffic, gone are the days of easy commutes into NYC. The streets are jammed again with stressed drivers, school buses, and stop-and-go traffic due to stalled cars, construction or accidents. Leaving only ten minutes later than usual makes all the difference. Luckily sunshine, endless beaches, sanity and relaxation are only a short flight away. 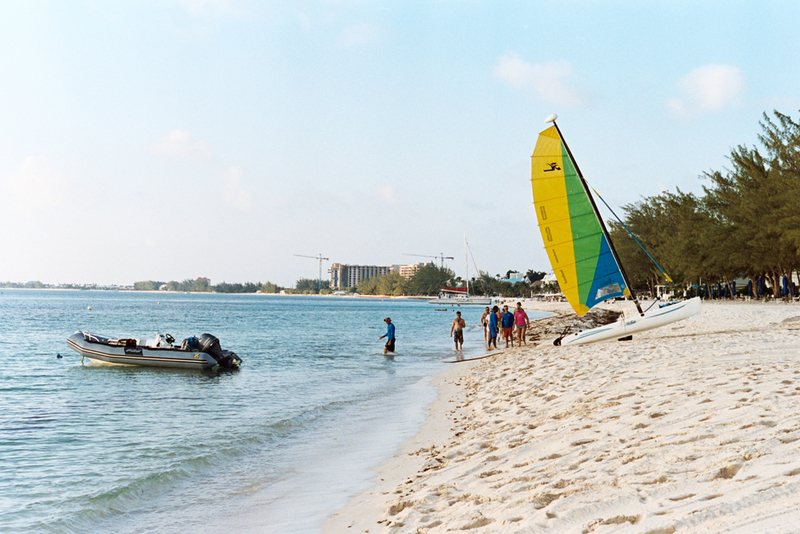 I decided to hop on a plane at JFK on a Thursday morning for a four-day getaway at the Ritz Carlton, Grand Cayman. Four hours later I was greeted with cocktails at check-in, and after a few minutes of formalities I wads off to soak up the sun and relax. Somehow I missed to get away all summer. Work and other projects did their best to keep me bound to the NYC area for the most part of the summer and limited to short trips. To avoid any distraction whatsoever I decided to try my best to completely unplug from the digital world. I left my blackberry, iPhone, iPad and laptop at home. Armed with only a book, my trusted Leica M3 and a couple rolls of Kodak Portra 400 I was ready for some "Shhhh... please do not disturb" time. The four days that I was out there and during the trip I did notice though how much hotels, airlines and restaurants try to ensure that you can stay connected non-stop. Free or paid WiFi seems to be available everywhere nowadays, even on the beach. What is sad though is that I also noticed multiples couples, young and old, at dinner tables that were glued to their smartphone screens instead of having a conversation with each other, or just taking in the Caribbean atmosphere and scenery. Somehow we need to learn to unplug from the digital world once in a while. The photos were taken (or made, whatever you prefer) over the course of four days. I didn't venture too far away from the hotel, so all of them are in close proximity. All photos were taken with the Leica M3, Leica Summicron 2/50 Rigid and Kodak Portra 400. The film was rated at 200, and developed at home using the Tetenal C-41 presskit and scanned using the Pakon.